This class combines the powerful energy of Yang with the cooling inward moving energy of Yin. Experience balance within these opposing forces through the body (asana) and pranayama. This class will include active postures balanced with slower postures that may include supporting the body with props. 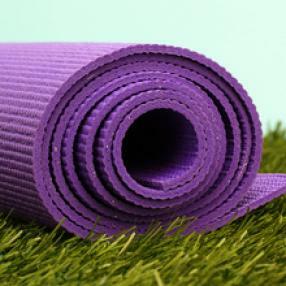 Attending this type of a class will bring balance, reduce stress and the the mind relax. We’ll explore a variety of asanas (poses) that will leave you with more open hips, improved energy, and a calmer outlook. In Yin Yoga, poses are held for longer than normal, up to 5 minutes, allowing the deep connective tissues of the body (ligaments, tendons, fascia) to release. Yin Yoga is one of the easiest ways to access and heal our internal meridian system and keep our bodies running smoothly from the inside out. Yin has been proven to help with depression and anxiety, fertility issues (men and women), focus and attention, and in improving one’s range of motion. Yin acts as the perfect complement to most yoga practices in the US today, which are considered yang (active, masculine). 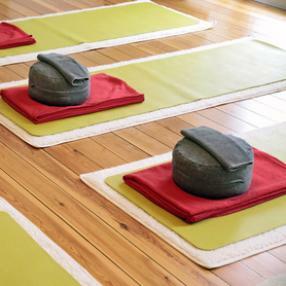 While yin practice is both restorative and meditative, it is also challenging. It presents our bodies with unfamiliar experiences and provides our minds with space and stillness, creating a truly intimate experience with the self. 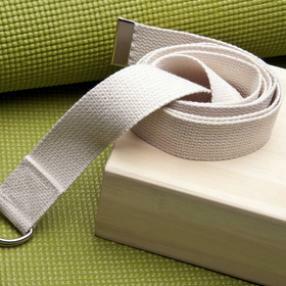 Deep stretching for athletes, desk workers and anyone needing stress relief. A soft practice in which we hold a series of poses for 5 minutes. Focus of the class is to work the connective tissue in a safe and healthy manner. Allow our body to sink into the postures while stretching the appropriate ligaments and tendons. Quiet our mind and open our body! Depending on the practice, we may use a variety of props such as blocks, straps, and bolsters.